I love multipurpose tools like all in one hair and beard trimmers. They save money since you only need to buy one to do two or more jobs. They save space since you don’t need to devote an entire shelf to your grooming tools. And they save time since you can do everything in one go if you choose to. For those guys that like this kind of efficiency, this article will go over the best examples of hair and beard trimmers that will make your life easier. Read on for the in-depth reviews, or if you don’t have time, take a look at the comparison table below to see how they rank against each other. Can I Use My Electric Beard Trimmer to Cut My Hair? I know how tempting it is to want to give yourself a trim to save time and money by avoiding the barber. The reason I know how tempting it is comes from the fact that I fix haircuts done with electric beard trimmers on a regular basis. Those trimmers are not equipped for the density and amount of hair that you have on your head. Sure, you can trim up the edges, but you can’t do a taper or anything resembling a haircut. If you think you can save money and not waste a half day at the barber, understand that you will end up there anyway by trying to cut your hair with a beard clipper. When you are at your barber, no doubt you have seen him use different tools for cutting your hair and trimming your beard. The biggest difference you probably noticed between them was the size. Hair clippers need more power than trimmers. 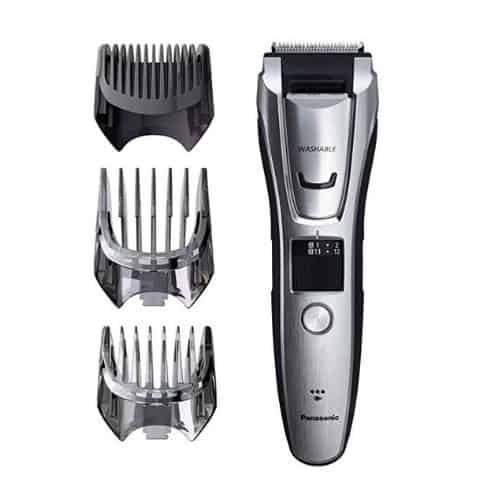 What you’ll need for a hair and beard trimmer combination is enough power to get through the hair on your head. Durable blades are essential to be able to cut through thick hair on your head as well as your beard. They obviously need to be sharp, which is a reason why you don’t want to use simple beard trimmers to cut your hair. They can be detachable so you can use a dedicated blade for your hair or another for your bead. Or, they can be adjustable with a lever to set the length. The best ones in my opinion have a detachable. Not because adjustable is a problem, but because sometimes the same blade is simply not strong enough to handle both types of hair. This depends highly on the beard trimmer itself, though as we will go into in a bit. 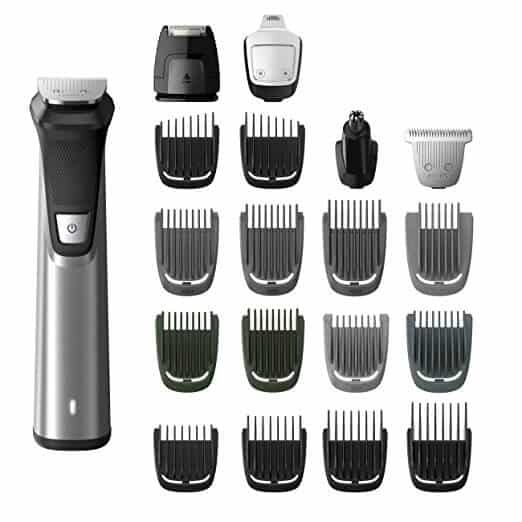 For a beard trimmer to qualify as a hair and beard all in one groomer, you definitely need to see a wide variety of attachments. You should be looking for plastic or metal comb attachments to adjust the length you want to trim your beard or hair. Detachable heads also help. You can swap out a trimmer for a more robust hair clipper blade, or even downgrade one with a nose trimmer, for example. This hair and beard trimmer is up there close to the top of the list for the best all in one personal groomer that also does DIY haircuts. The name of the game for groomers that do double duty as electric beard trimmers and hair clippers is versatility, which the Conair beard trimmer the Chopper has in spades. Here are some of the features that make this an ideal tool for your haircut and beardscaping needs. The Chopper has a lot more power than you would expect from a Conair beard trimmer. In fact, it has a lot of that elusive quality that goes beyond the power that many home hair clippers lack. Torque. It has a DC torque motor that gives 50% more cutting power than conventional clipper motors. And there is even a Turbo Button for a boost of 15% more power when faced with a particularly dense head of hair or beard. What I like best about these beard trimmers is that it isn’t just a bunch of plastic combs that come with it for attachments. It has two separate heads that detach. One is a hair clipper blade that clips on tightly and can handle all of your haircut needs. 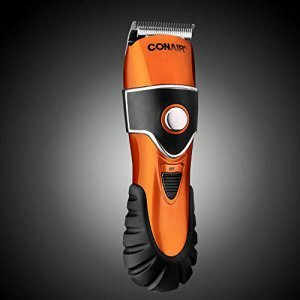 Then there is the Conair beard trimmer attachment that handles all of your beard trimming. Each head is perfectly matched for its function instead of trying to make an one blade do it all. There are, of course, the plastic comb attachments, too. 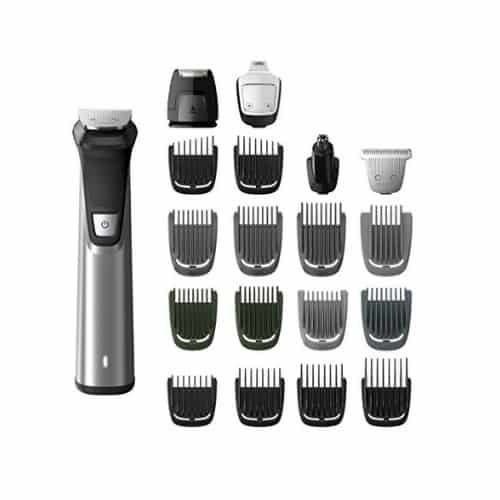 There are nine that work with the hair clipper blade on the Conair beard trimmer and can be used to give yourself a tapered haircut. Then there are four others specifically designed for the beard trimmer attachment. The Chopper is one of my favorite hair and beard trimmers as it performs great in both applications. Some clippers end up being a poor version of each of their respective functions. 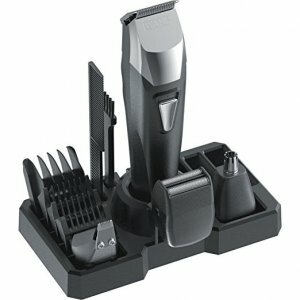 In this case they work great as a stand alone Conair beard trimmer that can edge your beard and trim it down. And they work equally well as a home hair clipper with excellent torque to cut your whole head of hair. The Philips Norelco is one of those beard clippers or grooming products that I feel like is a must have for guys serious about their manscaping. The motor is much more powerful than you would expect from a small hair and beard trimmer. The motor is made entirely of metal with a steel drivetrain. This gives it a good amount of torque to power through most cuts and thick, wiry beards. The battery is a Lithium Ion that has enough juice to let the trimmer operate at full power and not end up going weak. The Norelco Multi Groomer comes with just about everything you would need in an all in one. 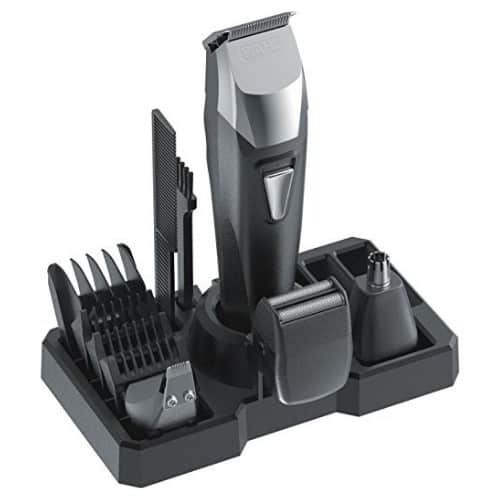 The heads snap off so you can use it with a nose and ear trimmer, a steel precision trimmer for detail work, and the regular blade that can shave down a beard to just under stubble. 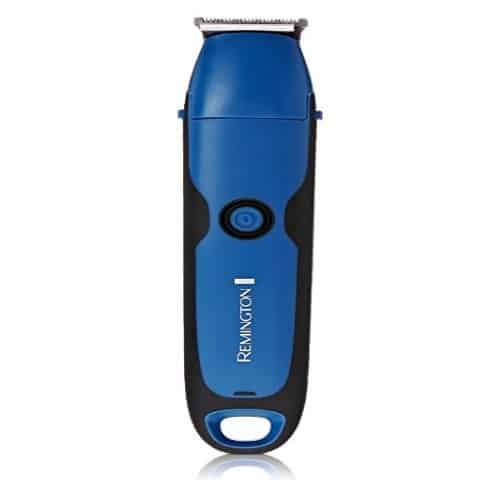 The hair/beard hair trimmer blade can be used to edge your hair or beard for nice clean lines. Then to use it to trim your beard or give yourself a taper haircut you can pop on any of the 13 fiberglass comb attachments. Notice they are not made out of plastic. These are ultra durable and can last a long time. You can get three solid hours of runtime from the battery on a full charge. This should give you several sessions of beard trimming and haircuts as you probably only need 30 minutes, maximum for your total grooming routine. If by some chance you forget to charge the trimmers, then you can operate it with the cord attached. Charging it takes a very impressive one hour. These self sharpening blades are some of the sharpest and most durable for an at home set of hair and beard trimmers. They also feature more teeth than most other trimmers for a tighter and closer trim. Made of stainless steel, they can be detached and run under the water for easy cleaning. I recommend these electric beard trimmer and hair cutting clippers to just about anybody. I only hesitate to recommend them to people that will be cutting their hair infrequently. They don’t do well cutting through very thick hair. If you have a haircut you are looking to maintain, then these work great. Otherwise, they will struggle and then they aren’t worth it. I love Wahl products as they are always designed to be used at home in the same way they would be used by professionals. In the case of the Groomsman Pro hair and beard trimmers, they keep up this high level of quality, but with a couple of caveats. The power of the motor is what you would expect from a brand like Wahl. They won’t make the cut for a professional, but certainly, do a great job for the home DIY haircut and beard trim. It is designed for multiple types of head attachments, so it needs to be able to power through whatever you throw at it. And it does a great job for most applications. You can do your entire grooming routine with this one tool, including shave. It has multiple detachable heads. For your beard and hair trimming, it has a trimmer head with very sharp blades. Give yourself a haircut or trim your beard with this by adding the plastic comb attachments. Then you can trim your nose and ear hairs with the rotary trimmer head attachment. A narrow toothed detail trimmer can give you a nice extra touch for shaping your beard, particularly for use under the bottom lip. And a foil razor head can shave right down to the skin for the edges of your beard. My only complaint is that it doesn’t come with more of a variety of plastic comb attachments. This makes it only good for buzzcuts with a light taper around the edges. The battery is a slight disappointment too. I suppose it was to keep costs down to make sure the price stayed within most budgets, but the use of a Nickel Cadmium battery is a letdown. I would have liked the added longevity of a Lithium Ion. But, it does last long enough to go through your entire grooming regimen without dying on you. And it stays charged on its base so you don’t have to remember to plug it in. The Groomsman Pro is a solid piece of kit that is a good fit for a lot of guys. If you are looking to do a complicated haircut or fade, then you should look at some other options, however. For everybody else, you can’t really go wrong with a Wahl groomer. This Panasonic hair and beard trimmer is quickly becoming one of my favorite electric trimmers to recommend. It simply does it all and with just a flick of a finger to do it. It simply doesn’t get any easier. 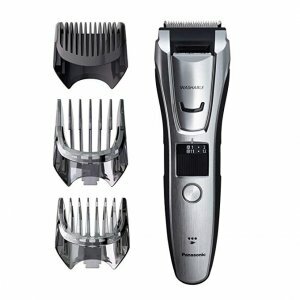 Motors on home hair clippers have come a long way and you can now expect the Panasonic body and beard trimmers to deliver great performance without slowing down. This is where the Panasonic really shines. You can literally dial in on exactly the length you want. Rather than have to pop on attachment after attachment to taper up your hair or beard, simply use the dial. Right on the handle is a little dial that can give you a cutting length from 0.5mm to 20mm. With 39 settings to achieve that, it is an insane amount of precision. To leave the hair longer, there are three comb attachments that go right over the blade. At a 45° angle, the blade is perfectly positioned to deliver a precise cut without needing to angle your hand just the right way. A slide up extra close detail trimmer can line up your beard or sideburns in a second. The Lithium-Ion battery will get you a solid 50 minutes of runtime on a full charge. Don’t worry if you forget to charge it as it can be used with the cord in place. With or without the cord the performance is the same. You won’t have a weak operation with the battery as opposed to when used with the cord. Though you can’t use the trimmer in the shower, it can be rinsed under a faucet for easy cleaning. An added detail that really makes it even easier is the fact that it has a channel that opens and allows the water to flow through the chamber where the blade attaches to the body. This way all of the hair gets rinsed out. It is so lightweight and ergonomic, plus so intuitive and precise that this is definitely worth every penny. In fact, I am kind of shocked by how low the price is. I would expect to pay over $100 for this level of detail and performance by a hair and electric beard trimmer. I have been waiting for some competition with the Norelco OneBlade Pro that could also work well as a hair and beard trimmer and not just electric shaver. The Remington PG6250 WetTech is just what I had been looking for. Ok let me first start with the thing that I am not crazy about. The motor is not the strongest so doing a full haircut will take some time if it is anything more than just a buzzcut. It also slows down when trying to use the foil razor for doing body manscaping. It works best to do that when you have already shaved and are looking to just keep it shaved but not when you need to mow it down to begin with. You get a good 70 minutes of runtime per full charge from the Lithium Ion battery. A full charge takes about 4 hours to complete. Another downside to this is that it seems that about 2 years after purchase the battery has a hard time keeping a charge. This is about par for the course when you’re talking about a cordless electric beard trimmer for under $30. There are two heads that can be interchanged. This is where I really love this razor. The T-blade is the main head that will do your hair cutting and beard trimming. To trim to a certain length there are five different plastic comb attachments. The other head is the foil with edger attachment. This acts as an electric shaver that can get as close to the skin as a regular razor. And anywhere on the body you wish to use it. The top and bottom of the razor are two sharp blades that will work to create a clean line around your beard or sideburns, as well as to finish up your haircut at the edges. Either attachment can be used in the shower or dry and with or without shaving cream or gel. Yes, it has a couple of things that hold it back from being an excellent hair and beard clipper, but it is the only one in its class that can handle both. And it does a great job at cutting hair and trimming beards. For the price, I think it is definitely worth it even if it means replacing after two years. There is a lot of choice out there these days when it comes to finding the right beard and hair clipper combo. Luckily there are a lot of good ones to choose from. From the Conair beard trimmer to the Wet Tech, there is something for everybody on this list. Depending on your needs you can’t really go wrong with any of the ones I reviewed here in this article. I hope it helps you get your beard and hair in order, but if you’re still on the fence let me know by dropping a comment in the box below. Obviously, but on the reverse side of things, can’t you just use any hair clipper to shave your beard? True, but it is better to use a hair clipper on your beard than a beard trimmer on your head. At least a hair clipper is more powerful. Will it do a good job? It depends on how you use it. One thing is certain, though, it won’t burn out the motor if you use a hair clipper on your beard.